In order to possess the Jesus Mind, you have to re-define your take on what’s “normal”. The masses are normal. But the masses are also mediocre. The masses are sick. Greatness is not normal. Success is not normal. Excellence is not normal. You’ve been persuaded and brainwashed into believing something that isn’t true…That you’re average. The system produces “normal”. Those who step out of line and show bursts of real creativity, originality and even genius are kept quiet and considered “weird” or “misfits”…ostracized in order to encourage the rest to remain “normal.” However, NORMAL isn’t working! You’ve been forced into believing that getting a job, being told what to do and punching a clock until retirement is your only hope for survival. These rules were true before, but they aren’t anymore. As industries collapse and downsize, this hope is clearly being disintegrated! 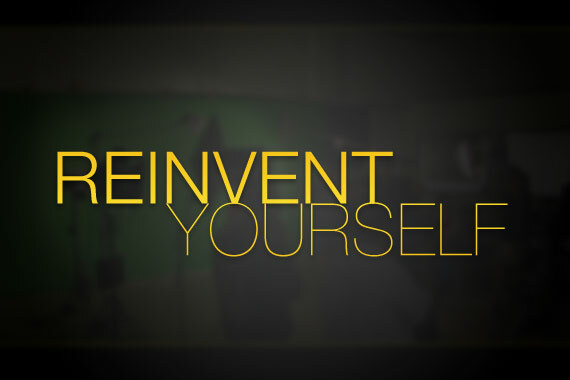 You have to do what Jesus did…Reinvent yourself! God re-invented Himself and entered the world as a man named Jesus. To get something He never had before, He had to do something He’s never done before. He wanted to show the world who we really were. What we were created for. To not be normal, but to be great! The commandments of Moses weren’t working. It only made us religious, compliant and…well normal! God wanted us to be just like Him, being great! So He re-invented Himself and His approach in redeeming us through His Son Jesus. The scripture in Daniel 11:32 says, “Those who know their God will be strong and do GREAT exploits.” When we put on the JESUS MIND and identify ourselves in Christ, we are empowered to also re-invent ourselves, do great exploits and defy the gravity of normality. Jesus Himself said, “I tell you the truth, anyone who believes in me will do the same works I have done, and even greater works, because I have gone to the Father.” (John 14:12) Self-loathing, being depressed, broke, and dejected carries no benefits to ourselves or Jesus. Greatness is the new NORMAL for the believer! So as unemployment goes up, certain markets become crowded, options are removed and machines are replacing manual labor jobs, is this the end of the road for you? It can be if you are uninformed. The economy has given us more leverage to make a personal upgrade. The system will not pay you what you’re worth. You have to create the demand of your worth. Dare to be different and develop the Jesus Mind. Challenge yourself and begin to see “NORMAL” isn’t working. 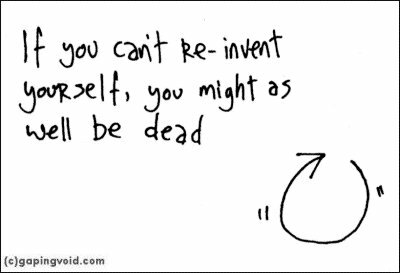 Re-Invent yourself! Go back to the drawing board. To change where you are, change who you are. It’s not a bad thing. Times are changing, and you should too! Do work that matters to you. What are you passionate about? Don’t comply with the system. Break the rules. Be YOU. The world is waiting for you! Connect. Social media gives us all the ability to reach others who share the same passions. The future is connected. Be generous. Share your time, advice, story, skills, service etc. The future is in generosity. Create. Service your art, your product, your dreams. Make it of value to us. We’ll buy it!